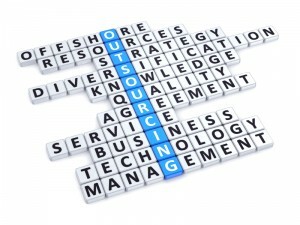 Outsourcing doesn’t have to result in a whole department being outsourced. Although I’ve discussed payroll outsourcing before emphasis has been on the physical process of outsourcing the complete department and not some of the components of payroll and HR. There is a genuine misconception that outsourcing a part of the overall process won’t be cost effective or indeed that outsourcing yields little or no return on investment. How could outsourcing work for us? 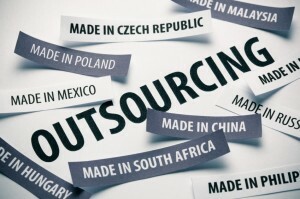 Do we need to outsource? Here is an alternative that can work and delivers results that are measurable. Why not consider automating a process rather than outsourcing a whole department? Organisations can decide to outsource a department to a third party company de-congesting them of non core business activities but what if an organisation wants to maintain control of the payroll department but only outsource some of the more time consuming tasks? For many small to medium sized organisations payroll and HR come under the same umbrella with payroll and HR engaging in tasks that might otherwise be department specific in larger organisations. One of the primary reasons companies outsource their payroll function is to eliminate non core business tasks that don’t add any tangible benefit to a company’s bottom line. In-house administration of payroll and HR requires on-going compliance and staff resources. Outsourcing can provide a continuum of expertise and knowledge in HR and Payroll as part of the outsource process, administering this in-house can be costly. HR departments can be bureaucratic, obstructive and often stuck in the comfort zone of form filling and being seen to support the strategic process of an organisations objectives but not always aligned with the company’s goals. The other side of the coin is that HR provides senior management with employee information in relation to business development, staffing resources needed for business mergers, acquisitions or restructuring of the business. HR departments are under increasing pressure to ensure that the service they deliver is efficient and cost effective. There are many manual functions that are fulfilled by HR department’s – employee contracts, appraisals, health and safety, pension documents, new employee inductions, absence reporting documentation, employee communications and document knowledge management. Whilst the relationship between HR and its employees is a core business function and important for on-going employee relations, the payroll, tax and pension administration and HR compliance are not. What part should I outsource? Payroll departments who want to maintain control of their main core functions but wish to outsource their payslip printing, e-payslips and distribution can certainly benefit from relinquishing themselves from this process. Outsourcing the print and distribution of payslips can save from 3-5 days of processing internally reducing the time it takes to handle this task enabling payroll managers to better redistribute their resources to handle employee queries rather than stacking the printer with paper, folding and inserting. When managing this process internally how do you ensure confidentiality? How do you make sure employees don’t see each other’s pay information? Outsourcing a payroll departments printing makes it easier to manage. Processing and distributing payslips and p60s is one of the easier more straightforward aspects that lends itself to outsourcing. Confidentiality is maintained and security is foremost making payroll managers jobs easier. HR Managers are either driving staff recruitment or managing a decrease in staffing levels and temporary contracts. HR teams deal with many documents most of which are in paper format that are required to be filed, archived and stored. Automation of some of the HR departments tasks not only adds value to the company’s bottom line but ensures the HR process is streamlined and efficient. Applications for jobs can be submitted in any media from email, web and post and CVs along with covering letters can be entered into the system making review easier and more streamlined. Approved applications are stored and tagged for appropriate skills and then routed to the line manager. Predefined and digitally stored letters can be populated and produced for interview invitations. Feedback from the interview is stored in one location making it easier for managers to review. Workflows send acceptance or rejection notifications to the HR department which in turn generates the contracts with the predefined terms such as salary, offer or rejection letters are automatically generated and sent to the applicants. Once a candidate has accepted an offer, departments can be notified of a new starter ensuring that all employment documentation and related tasks are completed prior to the commencement date. Training, employee development, performance review, grievance logging and holiday booking forms can be saved electronically in one centralised location. Automated management of the leaving process ensures that employment records are automatically archived, company equipment is returned and retention policies ensure destruction of employee documentation at the appropriate time.